We highly recommend the walk that starts from the small car park at the far side of Charles Fort near Summercove, Kinsale. The walk takes you along by the sea to the Kinsale boat yard. 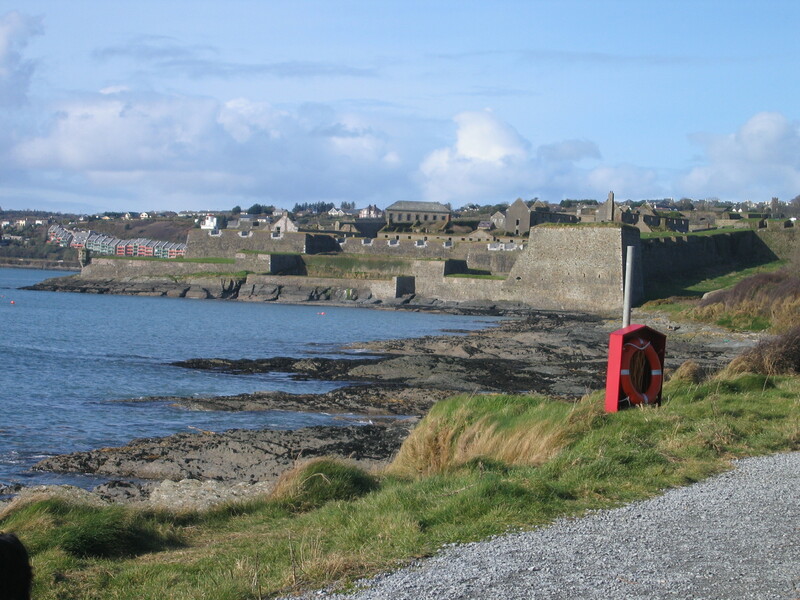 You can watch the boats coming in and out of the harbour and you also get a tremendous view of Charles Fort. Check out the photo below and take yourself down to the fort. Afterwards we often stop for tea at the Blue Haven cafe in Kinsale – in my opinion the best cafe in Kinsale!